If you ask Jack Hannahan what he’s thankful for, be prepared to listen for a while. Hannahan, 32, has plenty to appreciate, starting with the realization of his dream of playing in the major leagues. In 2001, he was named Big Ten Player of the Year at the University of Minnesota and was drafted in the third round by the Detroit Tigers. After many challenges and injuries in the minor leagues, Hannahan made his major-league debut with the Tigers on May 25, 2006. This year he is with the Cleveland Indians, a generous group of players who made it possible for him to witness the arrival of his first son last August. Being out of town when his wife went into early labor was not a good enough reason for them to let Hannahan miss out on the big event. In addition to all of this, Hannahan has more than a decade of sobriety to celebrate. At one time, he was dominated by drinking, but has long since abandoned it and now lives what he calls the “blueprint for life” found in the Catholic Church. Hannahan discussed his many blessings with Register correspondent Trent Beattie during a February interview. What do you think of your baseball career so far, and what are your expectations going into spring training? In baseball, there are always lots of ups and downs. Very few players have a smooth transition from college into the minors and then right into the majors. I was drafted in the third round out of the University of Minnesota in 2001, but went through some injuries playing in the minor leagues for five years. It can be tough, but you can learn a lot in the minors. Once you get into the majors, there are challenges as well, such as being traded. 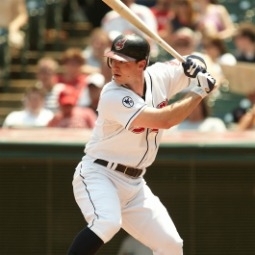 I’ve played in the majors for the Detroit Tigers, Oakland Athletics, Seattle Mariners and now with the Cleveland Indians. While the outward challenges aren’t going to be smooth, you have to compensate for that with a good, consistent attitude. Baseball really is 90% mental, so you have to accept adversity, have a clear idea of what you want to accomplish, and deal with what’s right in front of you. Concentration is so important. My goals for this year are to stay healthy and do whatever the team needs me to do to win. I’m playing third base now, but have also played other positions, so whatever they need me to do, I’m willing to do it. A Jack of all trades, right? As far as personal goals, I want to play hard, respect the game, and be able to look back and be satisfied with the effort I put into it. If you put in the right effort and stay healthy, the numbers will take care of themselves. You focus on production rather than compensation. That’s a better approach than trying for specific statistics that are beyond your direct control. Something that was once out of your control was drinking. Why did you start drinking? Everyone else seemed to be doing it in high school, so I did as well — in order to fit in. It can start out as fun, and it can be a way to escape your problems, but once it becomes a habit, it can be the most problematic thing. You might drink to avoid the ridicule of your peers, but that fear of suffering can lead to even more suffering. I would frequently go out drinking and getting into trouble, and my parents and siblings were worried about me. I was kicked off of the baseball team sophomore year of high school and was suspended two times during my college career due to alcohol. Thankfully, Minnesota head coach John Anderson believed in me and helped to guide me in the right direction. It took a long time for me to realize that something was wrong, but, when I did, then I could actually do something about it. I realized that if I wanted to live a better, more fulfilling life something had to change. I was fortunate enough that a light bulb went on for me when I was 20 years old. I realized that I was an alcoholic and that the blueprint for a good life was already there. What route did you take to stop drinking? I went to rehab, where I learned the 12 steps, and simultaneously began to realize the importance of what the Church teaches. I already went to Mass every Sunday and even at times during the week at school, but I didn’t really interiorize what was there. It was just more something you did because that’s what you do. It was a duty rather than an opportunity to draw closer to God and lead a truly fulfilling life. A good start in doing that is to go to confession. It’s a way to be honest about the problems you have rather than pretending like they’re not there. Facing reality head on can be scary initially, but, in the long run, it is so helpful because it makes healing possible. It’s such a relief to be unburdened with those things that held you back. It’s amazing how you can be trapped into thinking you’re the only one in the world with a problem, but what I’ve learned with drinking is that many, many people have dealt with the same problem and have gotten help for it. What does your Catholic faith mean to you today? It means everything. I’m very fortunate to have parents who’ve been married for 35 years. They’ve given me that blueprint for life by raising me in the Catholic Church, and for the past decade, I’ve actually been living that out. Things go so much better when you live in God’s plan. I’m also blessed to have met and played with Mike Sweeney, first in Oakland, then in Seattle. When I first arrived in Seattle, after being traded in July of 2009, I was ready to go back to my hotel room, but Mike invited me to live with him. So I stayed at his house for the rest of the 2009 season and learned so much about the game and about Catholicism. Mike was such a strong Catholic presence on that team — and on every team he was a part of — and I’m very grateful to him for sharing so much about baseball and Catholicism. Being traded can be tough, because, all of a sudden, you’re in a new town on a new team and literally may not know anyone there. So when there’s someone who shares your beliefs and isn’t shy about communicating them, that can be a huge relief and support. Learning the faith starts in the family, but it can also continue with people you meet later in life. You had a family adventure last August when your wife went into early labor while you were out of town. How did you get back in time to witness the birth of your son? My wife, Jenny, was having complications with her pregnancy and went on bed rest at 24 weeks. I was able to stay with her at the hospital while in town, but, of course, we’d play games on the road as well. After playing a night game in Boston on Aug. 4, I was informed that my wife went into labor, despite being only 28 weeks along. The team huddled and tried to figure out how to get me there. The next flight out of Boston to Cleveland wasn’t until 8 o’clock the next morning, so that wasn’t an option. Then my teammates “passed the hat” and collected enough money ($35,000) for me to charter a plane out of Boston that night. When I got to the hospital room a few hours later, my wife’s face lit up, and I was able to witness the birth of our first son, which fell on my wife’s birthday as well. Our little son, Johnny, only weighed 2 pounds, 12.4 ounces at birth and had some complications. Prenatal development is a fascinating thing. They say that every day our son stayed in the womb was three less days he had to stay in the hospital. Because he arrived early, he had some catching up to do, as far as growth and development, but now, at 6 months old, he’s 14 pounds and doing great. He’s our miracle baby. How can you put into words the gratitude toward teammates when they do something like that for you? Guys like Justin Masterson, Chad Durbin, Austin Kearns, Travis Hafner and Shin Soo Choo all knew the importance of what was going on, so they pitched in and helped out. You can’t replace moments like the birth of your first child. My teammates knew that and made it possible for me to be a part of that great experience. I’d say what Mike Sweeney would: My favorite Catholic book is the Bible. Sometimes we forget that the Catholic Church put the Bible together centuries ago. It didn’t just appear on its own, all organized, with a table of contents, neat chapters and page numbers. The Church had to sort out which writings were canonical and which weren’t. We’ve had the benefit of receiving the written word of God through his Church. Someone who is popular in our family is Blessed Mother Teresa of Calcutta. She’s not officially a saint yet, but, obviously, she lived a very holy life. She’s a modern person who shows us that holiness is still possible, so her example is something else to be grateful for.